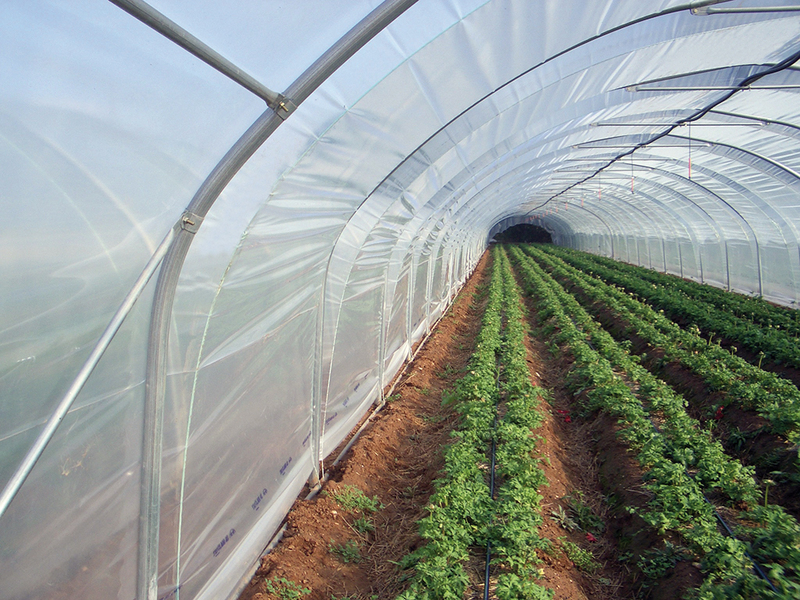 The simplest and most efficient way of protecting crops. The arches and braces are made up of perfectly balanced round tubes, which provide optimum strength. They are made with only the best European construction steels (S250GD - Galvanization Z275, double-faced, 15/10 and 20/10 – 32 mm dia.). Their internal mounting means that they are invisible and also that they ensure the long life of the plastic films. The new tunnel which rationalizes space. 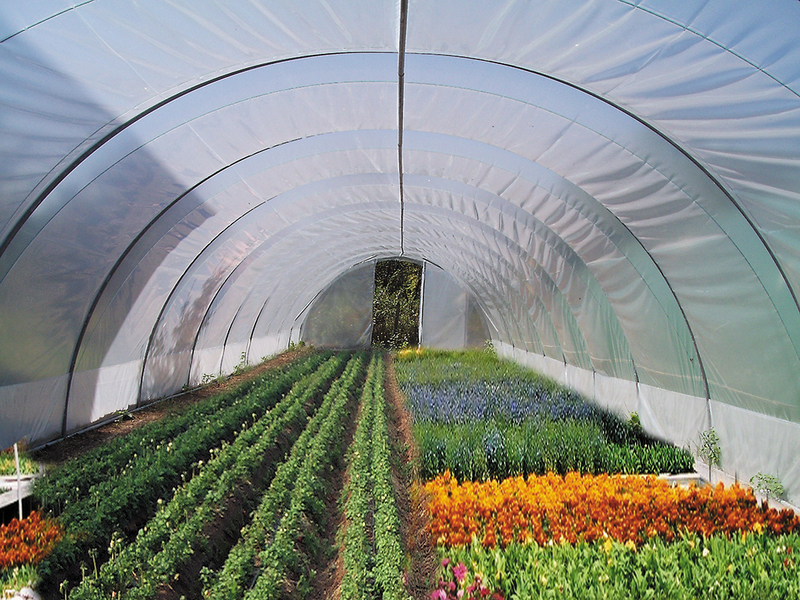 NUMERIS is a quasi-vertical side tunnel which optimizes crop surface area. 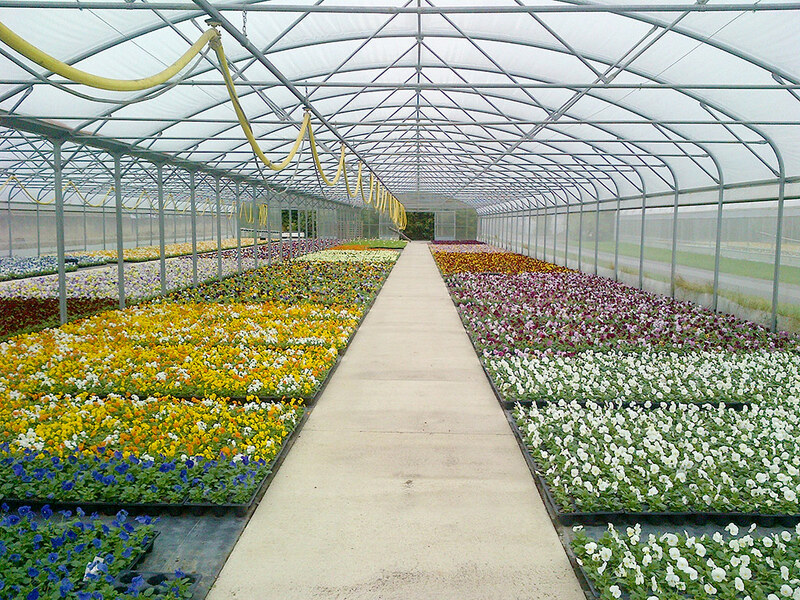 A width of 6.40 m which complies with planting standards (1.60 and 3.20 m): every square meter covered is cultivated. NUMERIS may also be installed in batches and cover a maximum amount of surface area without loss of land. Straight-sided, slightly domed in shape, the arches are made of 60 mm dia. tubes, 2 arches and a “boomerang” arch plus one flat or cross-shaped locking tie. The components are connected together by a top purlin which stabilizes length-wise and ensures film tension by double-inverted curvature. CLOSE-BATCHES: The gap between tunnels is reduced to 5 cm, double-thread twist anchor. 1. Brace + cross with screw or Fenox anchor attachment (according to the nature of the ground). This well-known configuration is perfectly adaptable to irregular-sloped fields. 2. By means of corkscrew anchor, the pin of which directly fits into the arch. This technique requires level ground. The TUNNEL range is still considered a classic of FILCLAIR innovation. An extremely reliable range which has proved its worth throughout the world. Available in a wide variety of heights and widths. Nordiclair®, unequaled technical performance and climatic conditions. 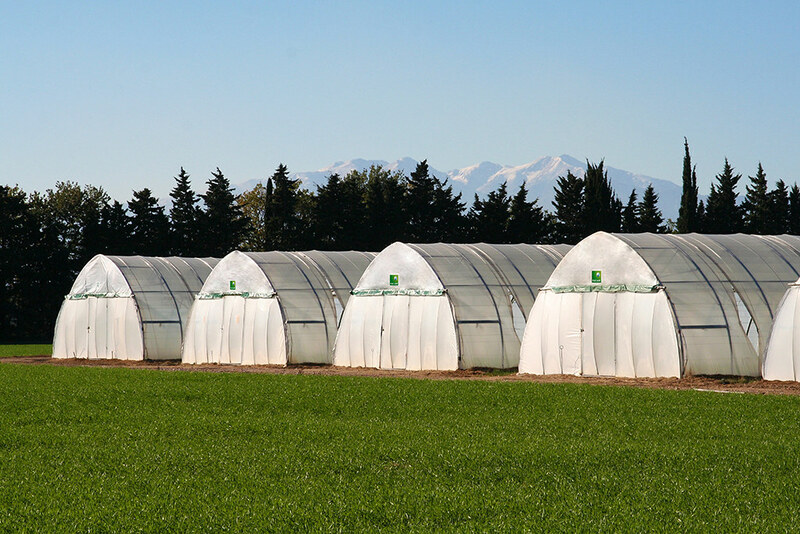 Thanks to their simple design, the Filclair Tunnel greenhouses are universal. Their design is based on three elements: the arch, the brace and the cross. They are made of perfectly balanced, round tubes which provide optimum strength and are made with only the very best European construction steels S250GD, high yield strength (Galvanization Z275: double-faced, 15/10 and 20/10 - 60 mm and 32mm dia.). The exclusive system of connecting crosses, assembled by means of a high frequency process, reinforces the strength of the 44 cm links. There internal mounting means that they are invisible and also that they ensure the long life of the plastic films. 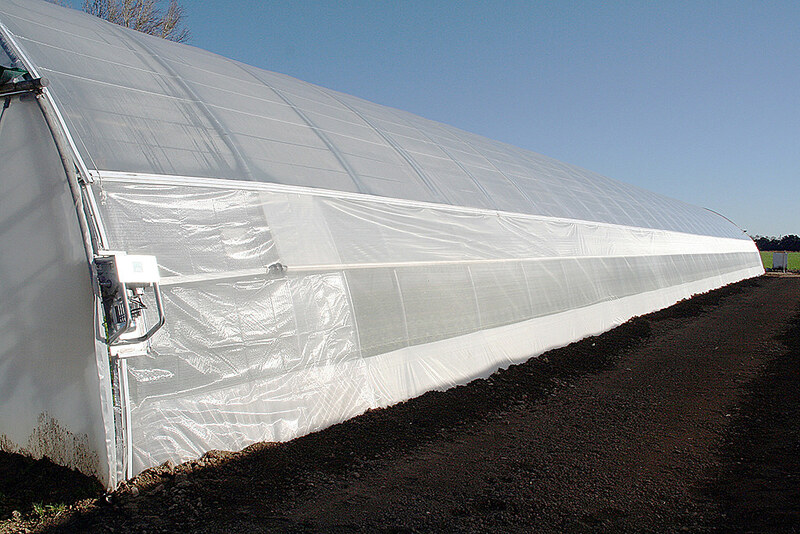 The Tunnel framework may accommodate all types of covering film. The simple and rapid procedure for assembling Filclair tunnels is totally unique. Verticlair® combines the tunnel’s simplicity of construction with a vertical post: optimum volume, ventilation and light are thus guaranteed. The arched poles, arches and braces are made of perfectly balanced round tubes (15/10 and 20/10 60 mm and 32 mm dia.) to provide optimum strength. They are made from only the finest galvanized steels (European standard EN-10147). Verticlair®, with its exceptional performance, and its easy mounting and maintenance capabilities is now a reference in the field. 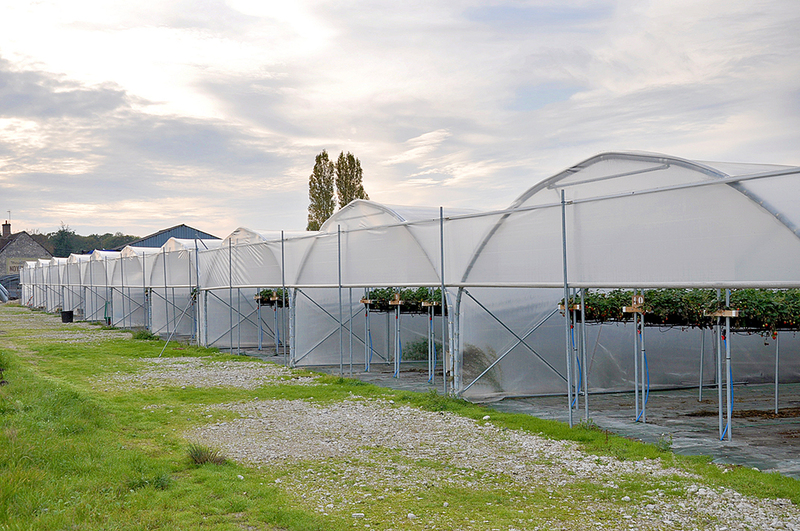 Each Verticlair® structure meets the ”snow and wind” stability requirements of your planting site. Whatever the density of the structure’s latticework, Verticlair® is a homogeneous and coherent assembly, designed and manufactured according to particular specifications. Compliant with the most stringent standards (EN NF 13031-1), the CAD software performs the integral calculus on the structures in order to optimize each component. 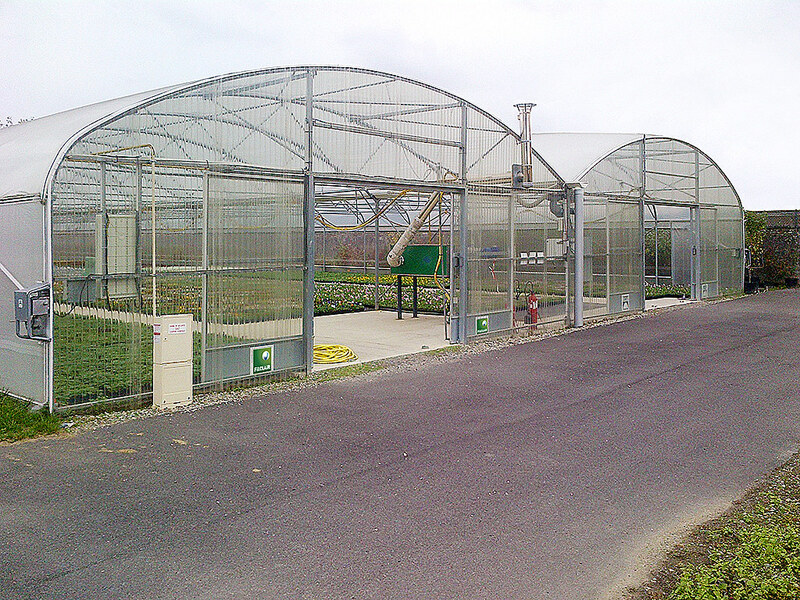 • The continuous side ventilation is available with gravity based or winding systems. 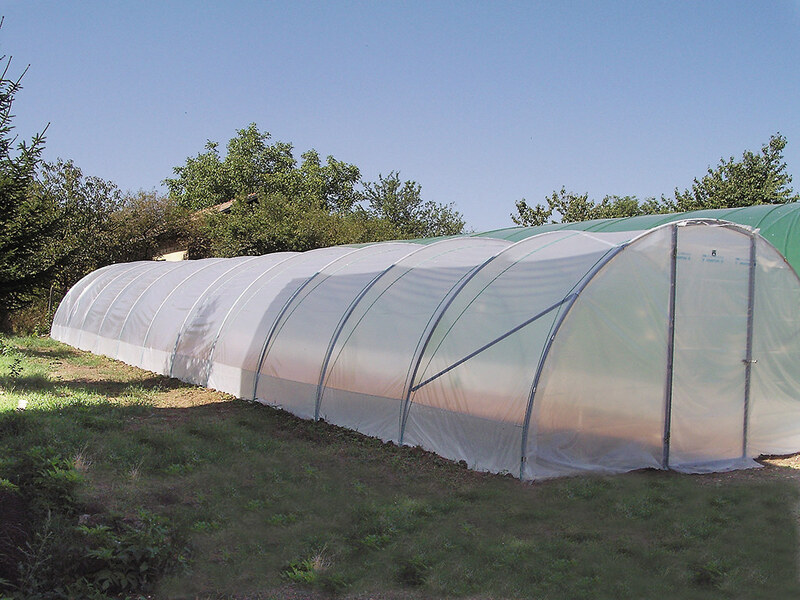 • The CSV are installed with wind-breaker nets and an ALUCLAIR™ multi-clip Tube. • They are controlled using a direct handle or by a universal control. These controls may be manual as well as motorized. FILCLAIR climatic engineering comprises all the solutions used in order to ensure the overall success of your climate project. Facilitating assembly and maintenance operations as well as safety related issues are integrated into the design of our products. Inflatable double-wall or single-wall cover. 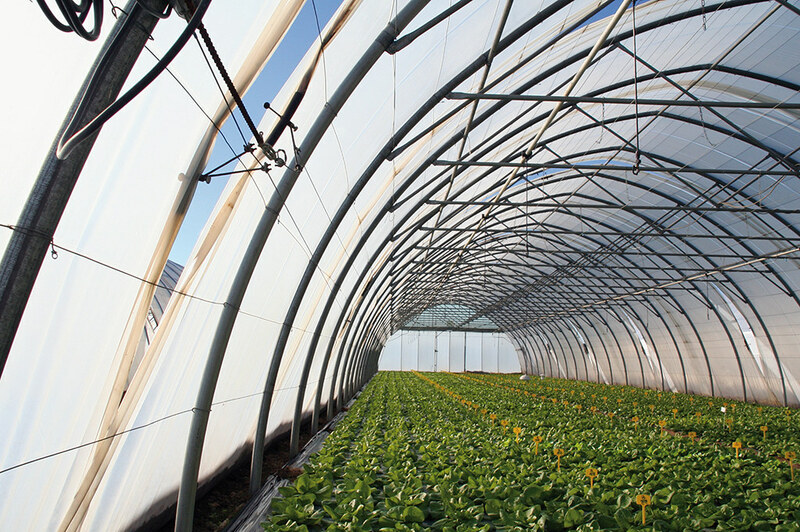 The inflatable double-wall covers are equipped with AIRBAR™: an automatic pressure system. AIRBAR™ is protected by the international laws regarding industrial property.